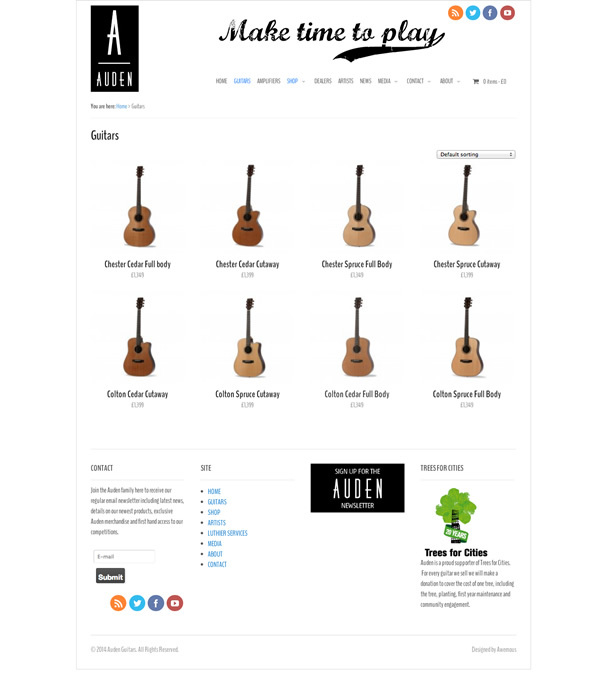 Auden Guitars needed a feature rich website to launch their brand and bring their range of handmade guitars to life. Luscious photos and in-depth descriptions combine with videos of the guitars in action to wow the guitar playing audience. Additionally profiles of Auden artists, events, news and a media section give the site a feeling of depth and help ensure people stick around and return often. 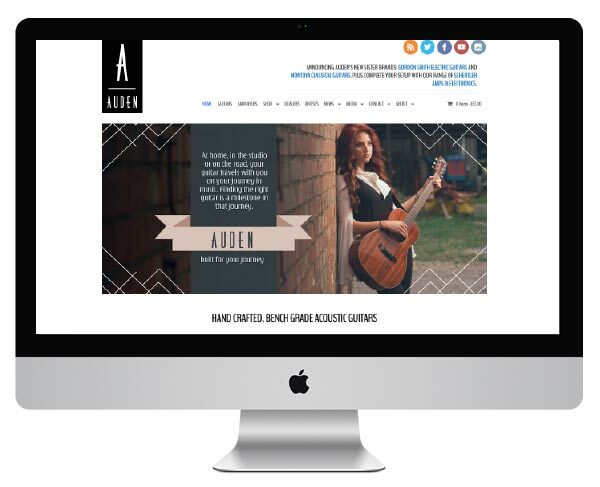 We developed an e-commerce solution, which accepts a variety of payment solutions and can handle shipping to multiple countries, as well as downloadable wallpapers, a ‘win a guitar’ competition and set up and run Auden’s email newsletter campaigns. Social media is a massive part of Auden’s marketing so we also set-up, advise on and look after the company’s Twitter and Facebook accounts. Auden Guitars is a new UK guitar company that sources the finest materials from around the world and produces hand-made, bench grade guitars to exacting standards. The end result? Guitars that perform to a level four times their price. They’ve set the UK market alight and guitar players everywhere are buzzing about their quality.